One of the most important qualities when it comes to being a good leader is the ability to identify and acquire the best support needed in order to guarantee results. For a sports leader (manager/head coach), this means selecting the best coaching staff to help their team achieve championship glory. When it comes to business, leaders also need to choose the right people to help their business succeed. However, these days, success is about more than just the right people – it’s also about having the right tech. In this digital age, having the right tools at your disposal can be the difference-maker when it comes to achieving your business goals. So exactly what gains can having the right tech give you? When you’re a leader in business, your team looks to you to demonstrate the values your company represents (whether they realise it or not). Because of this, a good leader should try and emphasise moral values over materialistic ones. In other words, demonstrating good morals is among the best ways to nurture a positive working environment. Of course, this is easier said than done. Positive vibes are all well and good, but they won’t pay the bills and they certainly won’t pay your team’s wages. But every little helps, and even something relatively small like demonstrating a conscious effort to help the environment can go a long way. Business leaders should always be busy – at least the ones doing their jobs the right way. But when your diary is always full, keeping on top of things can sometimes prove too much. This is why many CEOs and managers seem to suffer from scatterbrain syndrome. So if forgetting when you have meetings scheduled and who with is becoming a major issue, updating your software to a proper visitor management system and room booking systems could help you manage your visits much more effectively. With a proper visitor management system,, you’ll be notified as soon as your next client has arrived. You’ll also be sent a photo of them so you can greet them professionally so you’ll never be caught off guard when meeting someone for the first time. And with our exchange-integrated room booking systems, you’ll never experience the awkwardness of hastily searching for a free room, or someone else occupying the room you’ve booked. Being a strong talker comes with the territory of being a good leader. But charisma and good oral skills will only take you so far when it comes to hosting meetings and giving presentations. After all, our attention spans are shorter than ever these days and most of us need some strong vibrant visuals to hold our interest for any considerable period of time. This is where interactive touchscreen solutions come in very useful. 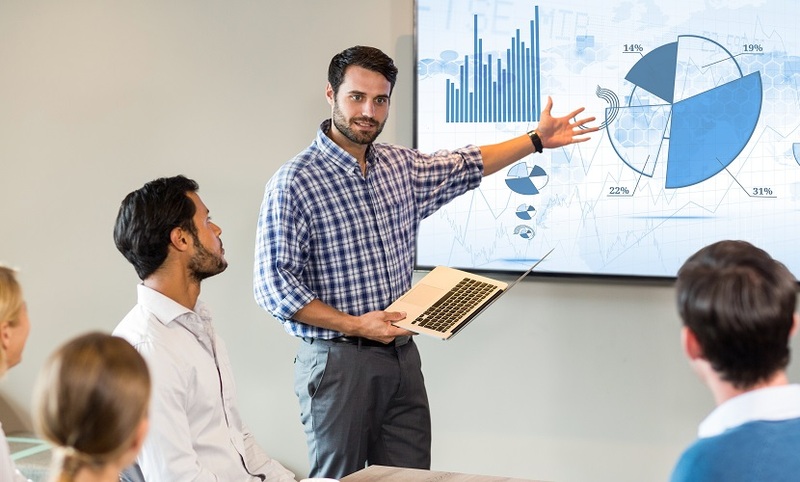 With the latest touchscreen displays, you’ll be able to take charge of even the biggest and most crowded conference rooms by adding a whole new dynamic to your next presentation. Just don’t expect the tech to do the talking for you… we haven’t reached that stage yet.